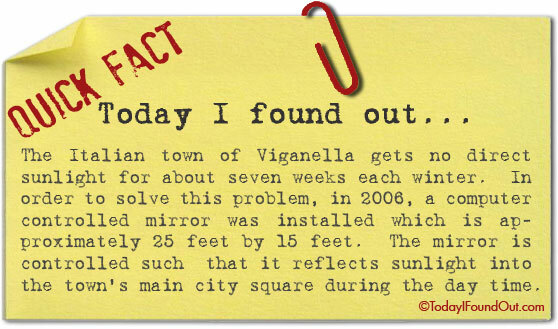 The Italian town of Viganella gets no direct sunlight for about seven weeks each winter. In order to solve this problem, in 2006, a computer controlled mirror was installed which is approximately 25 feet by 15 feet. The mirror is controlled such that it reflects sunlight into the town’s main city square during the day time.